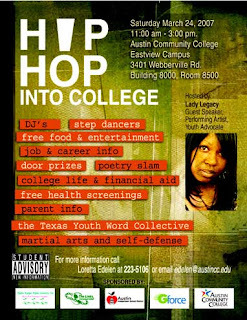 Born in Brooklyn, NY, raised in Austin, TX , Lady Legacy has indeed started off in the rap game with nothing but realness. Life hasn't been a bed of roses for this ATX betty. From the dope game to the rap game like many who are leading the industry now, the game is still the same. Whoever has the A-1 makes the most money. A-1 is definitely what Legacy has. With her label, 1205 (off 12th street with nothin' but $5), she is going to make the world know it's not alone. Everything everyone has every experienced will be addressed by the artists from 1205.